While patience is the key to photographing them, they are an absolute delight that every wildlife photographer should have a crack at. One of my favorite places to shoot them is in the southern Gulf of California, commonly referred to as the Sea of Cortez. In fact, I’ve recently returned from this magical place with more images than I know what to do with. Each time I visit, I learn new things about these animals and leave with a different experience and set of images. While photographing these fast-moving marine mammals is a lot of fun, it can be a little challenging in a liquid environment the first time around. Some days the sea lions are extremely engaged with divers and other days less interested. Their moods can also change hour to hour. 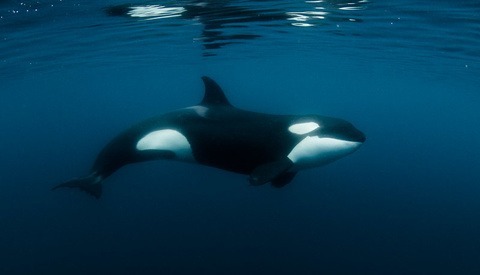 Oftentimes they move through the water column so quickly that they look like torpedoes. Or you can find them lingering on the surface soaking in the sun. This behavior can lend really well to surface reflections and eye contact—that is, if their eyes are open and the sea is flat! Understanding their moods and behaviors can be quite helpful when trying to capture the true essence of these creatures. It is usually quite obvious when they are not keen to play, and it does not require a biology degree—just some good common sense. As with most wildlife photography, it can be good practice to join a group that is dedicated to going out and photographing the animals, rather than a normal sightseeing tour. If your budget allows, chartering a boat for a day is a great option too. 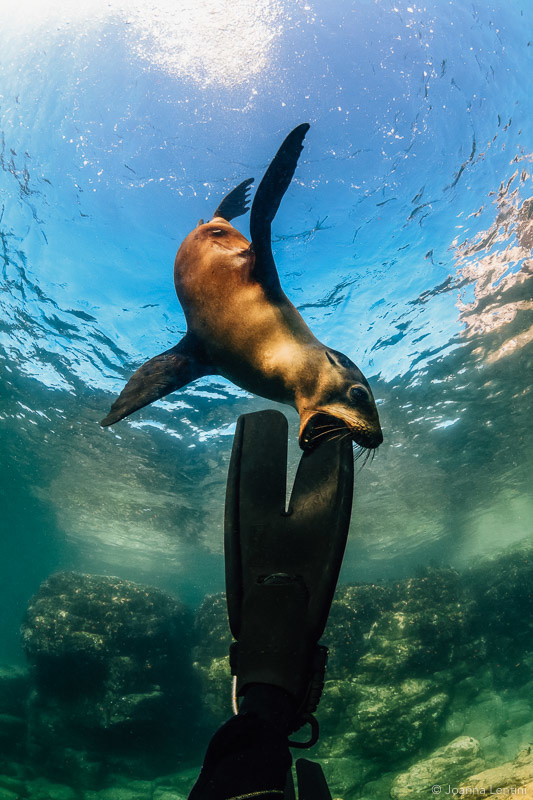 I generally prefer to use a fisheye lens rather than a rectilinear to photograph sea lions. I have used both rectilinear and fisheye lenses to photograph the little lions, but more often than not I end up with the fisheye affixed. When a sea lion warms up to your presence they can end up directly on your dome port. When that happens, a fisheye lens is ideal. My go-to lens for underwater photography is the Tokina 10-17mm f/3.5-4.5. I like to keep it at f/8 for sea lions, and I choose the fastest shutter speed I can get away with. Although slowing down the shutter speed can create quite a nice effect. Which, brings me to my next point. Slow down! It can be overwhelming trying to figure out where to point your camera. Try to avoid the temptation of shooting everything, and focus on setting up each shot. Rather than chasing them, let them come to you. One thing I've noticed is that they don't like to be ignored—a little acting can go a long way. When they sense that you are uninterested in them, they can't stand it and will be vying for your attention in no time! In case you weren't aware, sea lions are excellent climbers. Therefore, positioning yourself near a rock they are sun-bathing on can result in some neat over-under’s or even an action shot of them plunging into the sea to cool down. Schooling fish also adds a fantastic layer to images. I’ll never tire at the sight of a sea lion plowing towards me through a wall of fish. And of course, always be prepared for a sneak attack from behind or above. They really enjoy catching divers by surprise. Whether its tugging on your hood, or nibbling on your fins, generally sea lions mean no harm by this. However, remember they are wild animals. 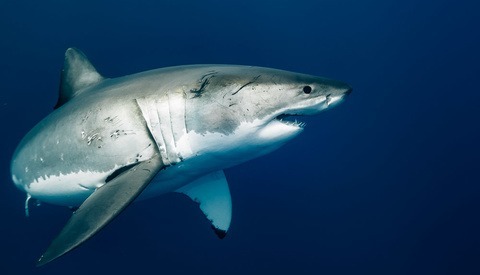 If one starts gnawing at you, having gloves and a wetsuit on may save you from a few bruises. Always have total control of your buoyancy and keep an eye out for irritated males. If you’ve overstayed your welcome you’ll know it. Being able to recognize the males and their mood is probably the most important safety tip I can offer. They are usually the largest of the sea lions and patrol the area, letting out a loud barking noise when they are not happy. That's usually a sign it's time to back away. Being aware of your dive profile is also very important. Sea lions tend to dart up and down through the water column and the urge to follow them can be quite strong. Be aware of this and try to avoid it as much as possible. While creating images of these jovial creatures is one of my favorite things to do, my final piece of advice is that sometimes putting the camera down for a moment to soak it all in is the best part of the experience. Great article. 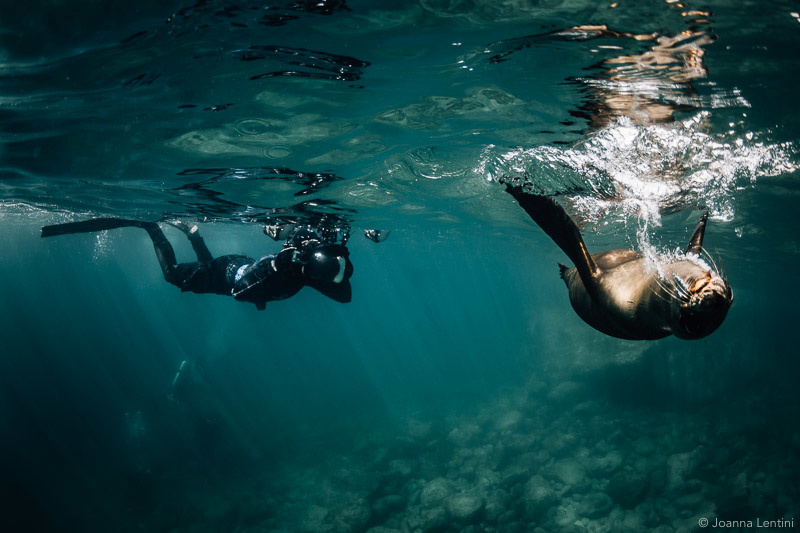 I met my first sea lions in Galapagos this year and was unprepared for the encounter, but what a moment it was. Next time I will be ready! When I was getting certified back in the late 80s, I read an interesting story about divers and sea lions on the California coast. Back in the early days of diving in the late 60s/early 70s, all dive suits were black. 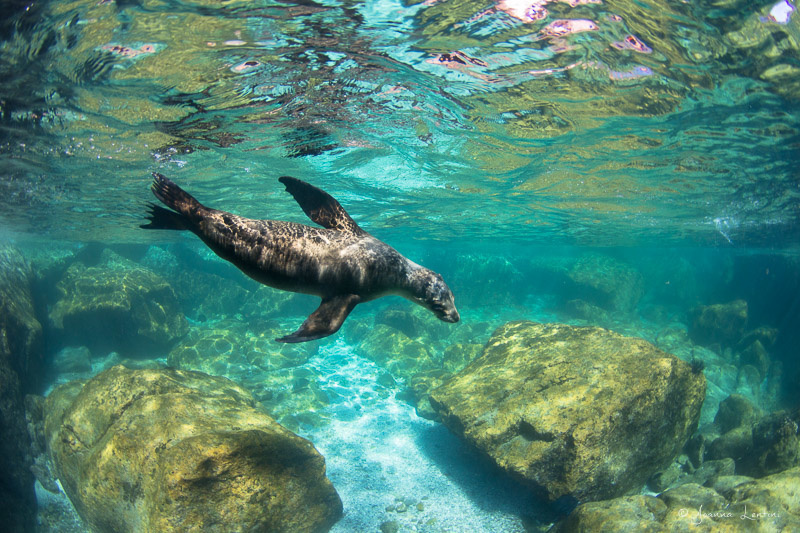 One day a diver was underwater around sea lions, when a male sea lion mistook him for a female, and decided to start trying to mate with him! He couldn't fend off the male, and miraculously manage to get to shore...only to have the male sea lion follow him out of the water and continue to try to mate with him! Eventually the sea lion finally got the memo and ventured off. Nice article. And we thought managing three-year-olds was a challenge. 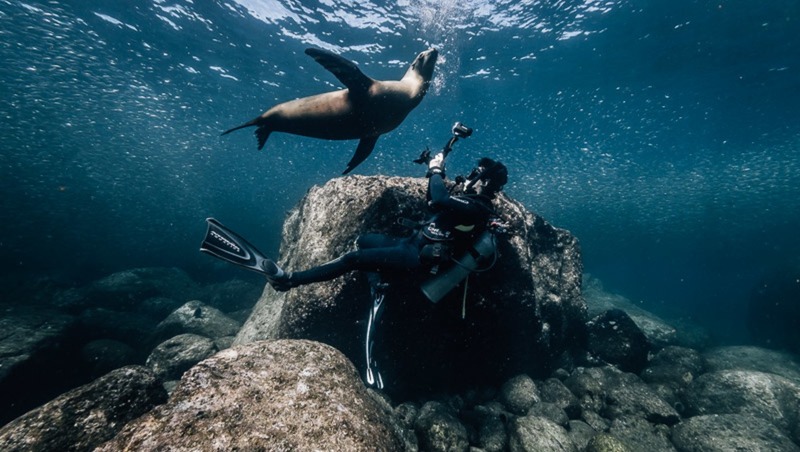 For some reason, when I read the title, all I could see in my mind was Norm MacDonald at his old Weekend Update desk on SNL reading, "What to Expect When Photographing Sea Lions Underwater: Number one -- Water!" Fascinating read, Joanna. Ever since I was little, I've had a slight phobia of deep water; don't know why. 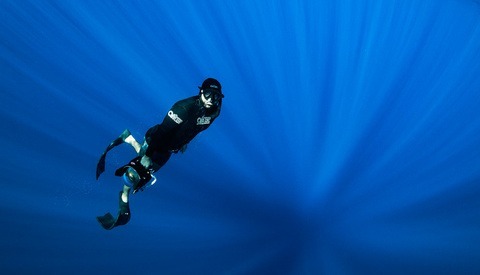 Recently, I'm getting more and more drawn to learning how to dive. Not just to try to conquer my fear, but also because I love biology and I feel that I'm missing out on so much by avoiding the water. Articles like this push me ever closer to taking the plunge! That is so great to hear Mike! Join me next time!! This is a fantastic article! It's super clear you've actually spent a good deal of time around these animals. Looking out for big males and sneak attacks is really important advice for everybody's safety. I dive fairly regularly with sea lions off Vancouver Island in British Columbia. Two additional tip for safety if anybody is interested. 1) Listen for boats. Often whale watching tours or other groups will come up close to known sea lion areas. This can startle the animals off the rocks into the water. As the number of sea lions increase it becomes harder to track where they are and they seem to get far more territorial. Usually best to surface at that point. 2)They don't seem to be interested in cameras beyond poking with their nose, but they love strobe lights. Very common for them to gnaw on the lights or even try and tug them away. Easy way to damage or lose gear.